ve světě již vyšlo mnoho krásných publikací o pletení a některé opravdu stojí za to mít doma. knihy je možno koupit přes anglický obchod BOOK DEPOSITORY, kde poštovné je zdarma. 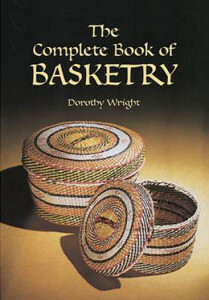 Profusely illustrated authoritative classic gives history and geography of baskets, detailed advice on basket design, materials, techniques, care, and step-by-step instructions. 294 illustrations, including 12 in color on the covers. 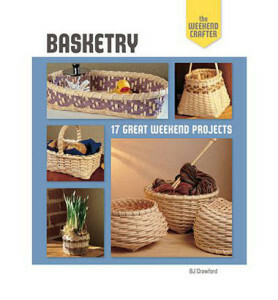 Provides detailed advice on basket design, materials, techniques, and care, with step-by-step instructions for a wealth of basketry projects: shopping basket, wastepaper basket, picnic basket, all-purpose plate, wine cradle, fruit bowl, and more. Range of weaving materials includes willow, cane, rush, raffia, straw, grasses, and others. 294 illustrations. Suitable for the beginning crafters, this title shows how to add bases, shape baskets, substitute materials, embellish and more. It offers knowledge on reeds that provides coverage ranging from preparation to dyeing and finishing. Beautifully photographed and created for the beginner, this fabulous introductory course will have crafters finishing a decorative basket the very first weekend. 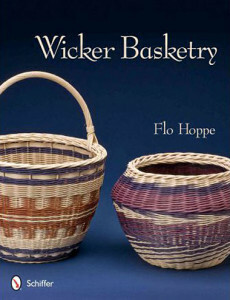 The author offers the fruits of her many years‘ experience, including how to add bases, shape baskets, substitute materials, embellish and more. A wealth of knowledge on reeds covers everything from preparation to dyeing and finishing. The 18 enticing projects offer a variety of techniques, each one building upon the last. 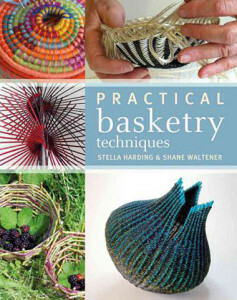 A practical guide to learning the basics, getting started, and designing and creating your very own original baskets. While based on traditional techniques, this book opens the door to an exciting hybrid approach, mixing both materials and methods to achieve fabulous pieces. Basketry is experiencing a resurgence of popularity, and enjoying an exciting comeback at the hands of a new and dynamic generation of makers who are not afraid to experiment with mixing materials and techniques. This book will give you all the information you need to learn the basic methods, and then the confidence and inspiration to expand your making as far as your imagination can take you. Features over thirty projects that use materials such as pine needles, silk cord, leather, reed, felt and beads. 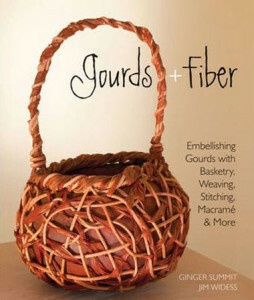 This title offers gourd aficionados a wide range of techniques, from coiling and plaiting to stitching and lacing. Two of the world’s leading experts combine gourd decorating and fibre arts for a fresh, up-to-date take on a centuries-old craft. Ginger Summit and Jim Widess will inspire gourd aficionados with a wide range of techniques, from coiling and plaiting to stitching and lacing. Over thirty fabulous projects use materials such as pine needles, silk cord, leather, reed, felt and beads.